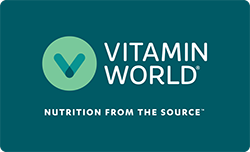 Vitamin World's Fish Oil is a concentrated and highly purified Omega-3 Fish Oil selected from the finest deep sea, cold water fish. Formulated in an antioxidant matrix to enhance potency, it allows for maximum absorption of Omega-3 EPA and DHA fatty acids by the body. ** Omega-3 fatty acids support heart and cardiovascular health. ** This Omega-3 Fish Oil is molecularly distilled to remove Mercury, PCBs and other heavy metal contaminants. No Artificial Color, Flavor or Sweetener, No Preservatives, No Sugar, No Starch, No Milk, No Lactose, No Gluten, No Wheat, No Shellfish. Sodium Free.